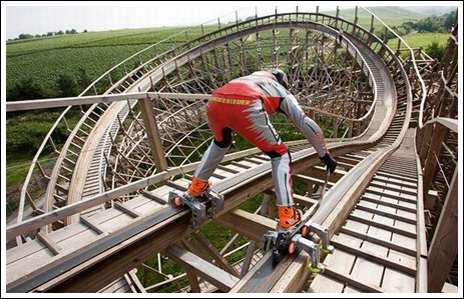 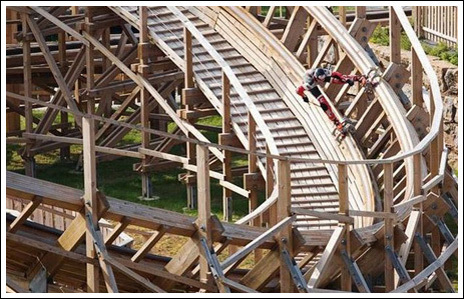 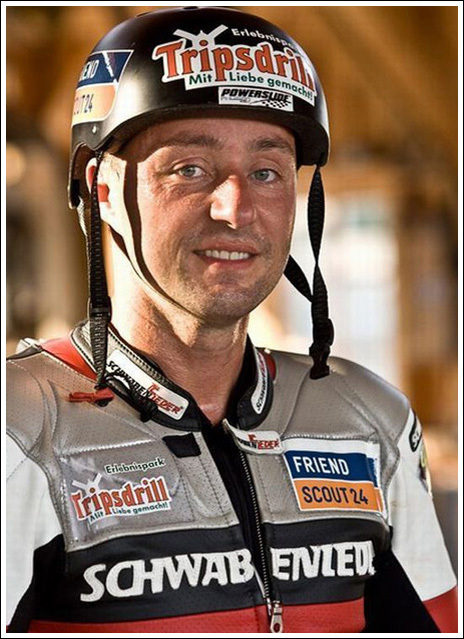 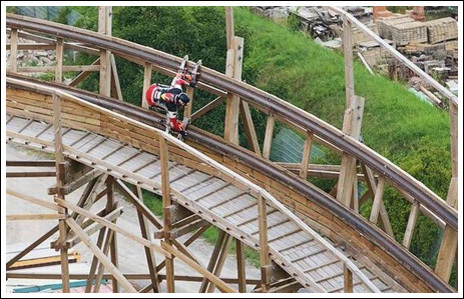 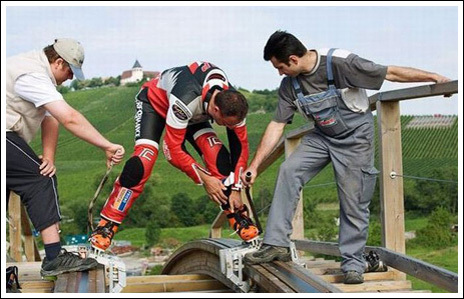 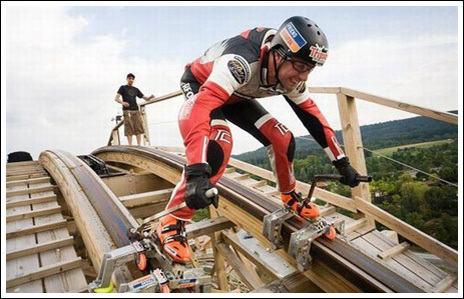 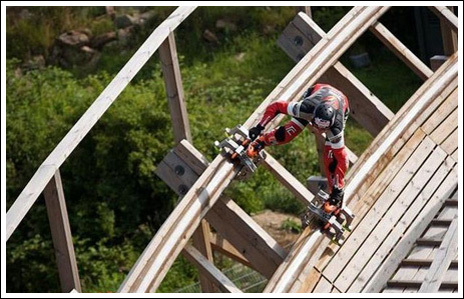 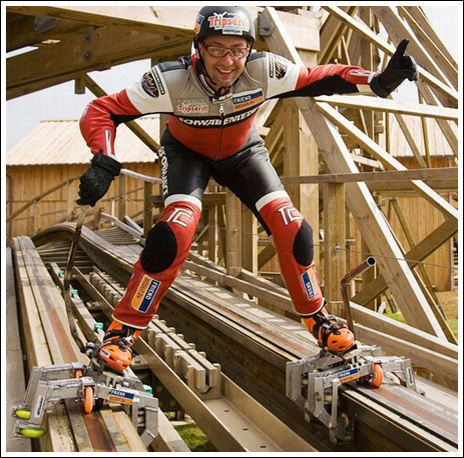 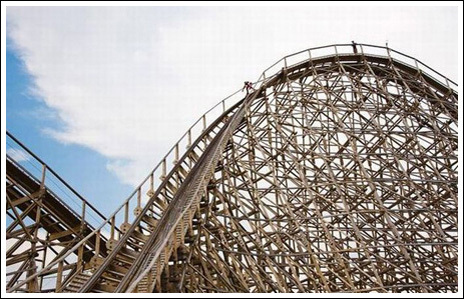 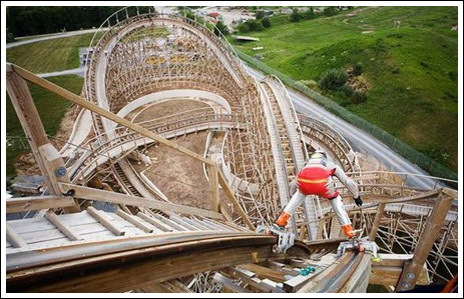 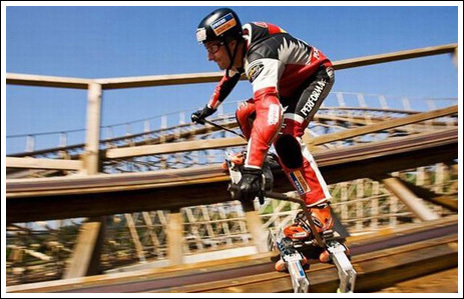 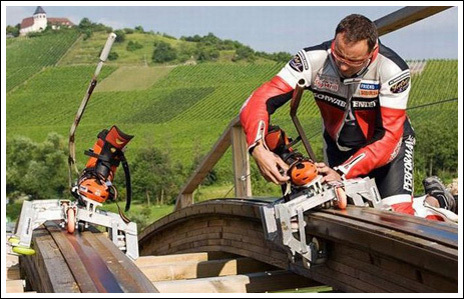 German daredevil Dirk Auer established a new world record when he raced down a 860-meter wood roller coaster track in under a minute. 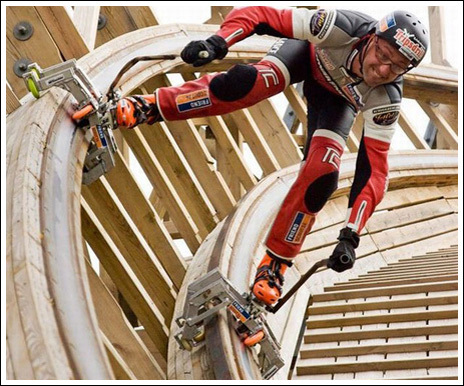 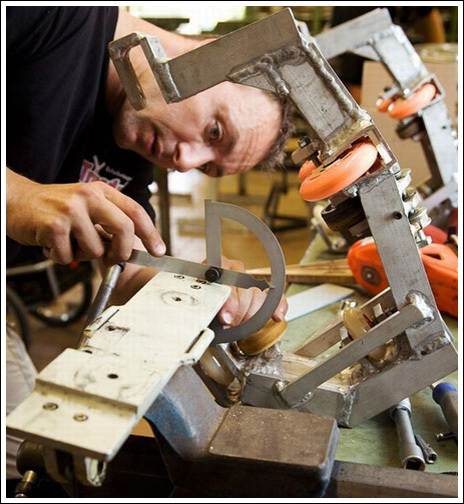 He maintained an average speed of 56 mph on custom skates that he built himself: "After this some of the sides were so high that at times I was at 90 degrees and so it was very important to have as much traction as possible. 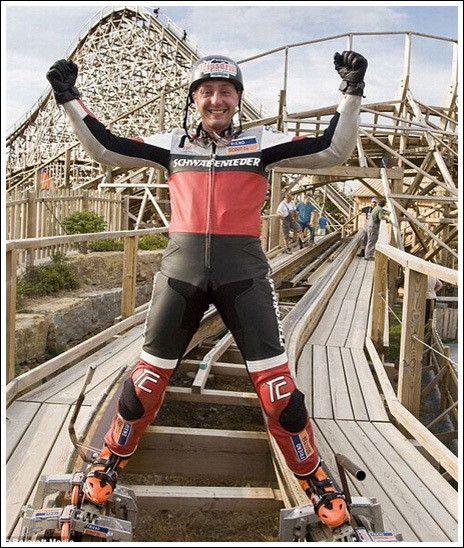 Luckily everything went according to plan - it was a lot of fun."